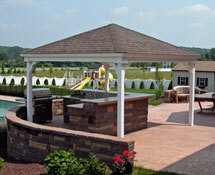 Looking for the perfect way to enhance your landscape and enjoy the outdoors more this season? 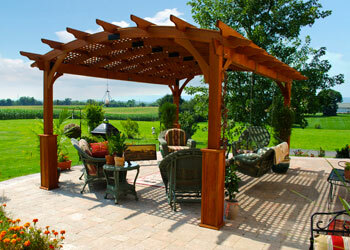 Choosing a quality pergola or pavilion from Walsh Country Store is a great start. 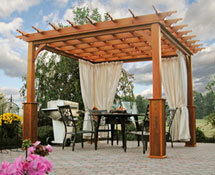 See our pergolas and pavilions up close at our showroom in Seymour, CT. Our sales staff will be happy to answer your questions and help you find the pergola or pavilion that works best for you. Impressive architectural details and sophisticated styling, our pergolas provide the perfect place for dining, entertaining and relaxing. The elegant way to provide shade and shelter from rain, our pavilions make great pool side companions, dining areas and much more.